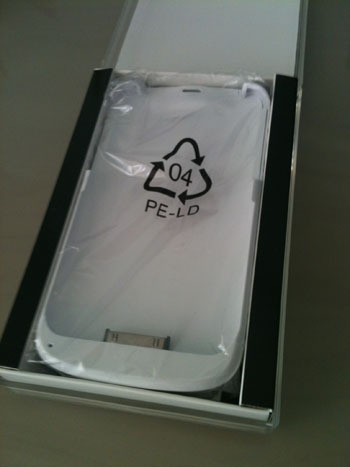 I bought the CPeel (casing can be seen above) from MobileConceptz, a shop opposite Bukit Gombak MRT. It costs $139 since I bought it directly. If you would so choose, you may buy it through their website but shipping costs an additional $8. Since Bukit Gombak wasn’t far away, I just went down on my own. There are two additional locations in Sim Lim and Funan where you can get the CPeel (check the address inside the website). That is how it looks like inside the box. Obviously I had purchased the white version. The CPeel comes in black as well. The model number is the T166 for the iPod touch 2 and 3. 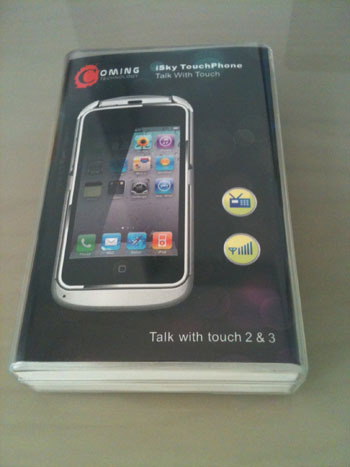 There are other versions of the CPeel for iTouch 4, but I can’t be bothered since the iTouch 4 has a front facing camera. What is the point of using CPeel instead of an iPhone for the iTouch 4 is something that I cannot understand. If the nature of my work allowed for a camera handphone, I wouldn’t go through all the trouble. 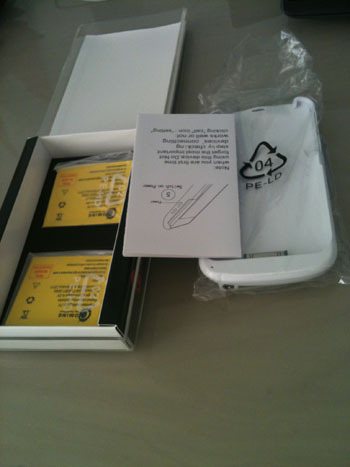 As you can see the basic package comes with 2 batteries (you’ll need one of them to power the CPeel), an instructional manual (which only tells you how to insert your SIM card and battery) and the CPeel itself. There are no instructions on how to install the software. The website provided above provides a tutorial which is very confusing, hence I will just briefly go through the steps that I took, so in the future people who are attempting this might find it easier than I did. 2) Jailbreak it using any method that you know of. What I did was to use greenpois0n. The software to download is listed on the right hand side under Jailbreak Firmware 4.2.1. 7) After it has been added, click the new source and install the software listed there. For me there is only one software so I just installed that. 8) It should then work. Press the on button for the CPeel, and then push your iTouch 2 into the CPeel. Do remember that you must not have any password settings for your SIM Card, else it would read as Invalid SIM. Posted on July 6, 2011 by ignorantsoup	This entry was posted in Computer, Technology. Bookmark the permalink.